It’s always interesting to learn the reasons behind a VA buyer’s home purchase. What were they looking for in a home? What features of the home or the property’s environment encouraged them to make an offer? 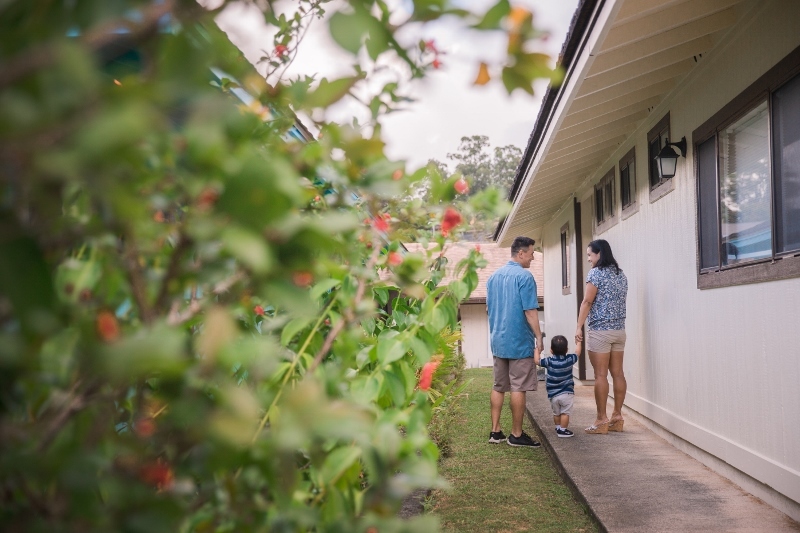 In Hawaii, there are various opportunities to invest in a condo, to buy a newer construction single-family home or a traditional, kama’aina style home. 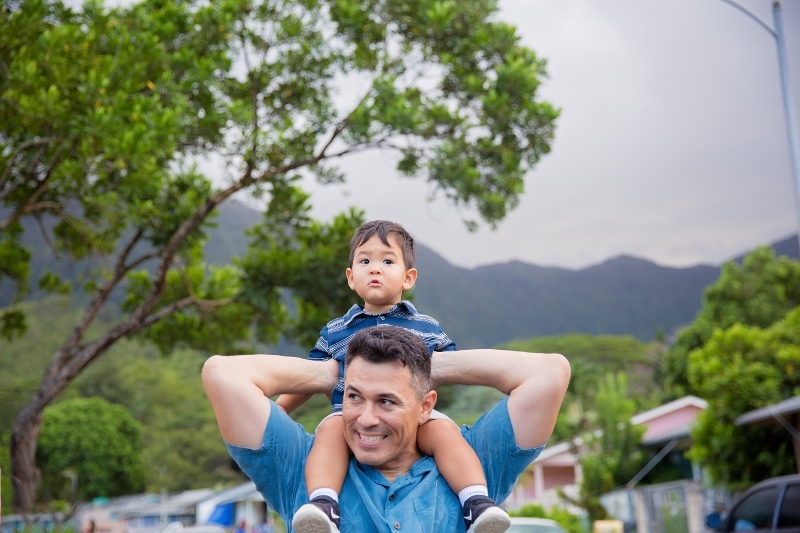 It’s fascinating to discover what buyers are drawn to with such diversity here in the Hawaiian islands! 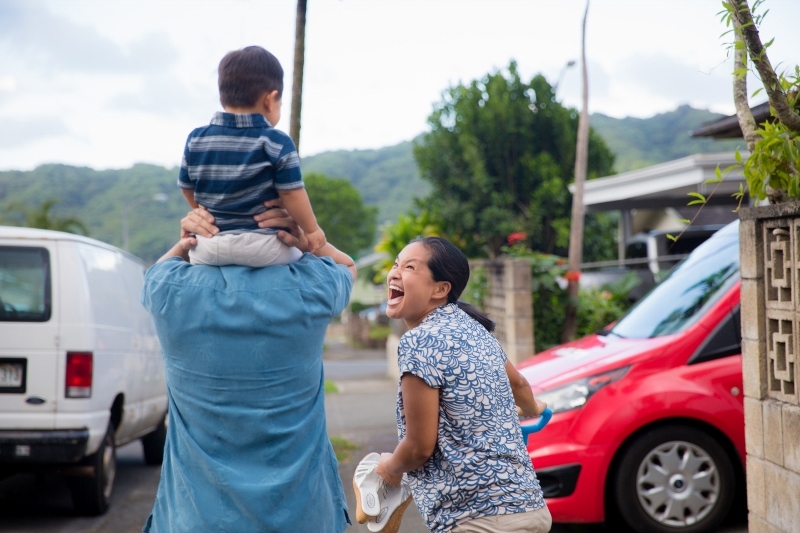 For our Fall 2017 Hawaii VA Loans Family Photo Shoot, we drove the Kahekili Highway from Kaneohe with those questions in mind. Mauka (mountain-side), passed the Valley of the Temples Memorial Park, there’s a residential area that sits against the backdrop of the majestic Ko’olau Mountains in Ahuimanu Valley. That’s where we met with recent VA homebuyers, Beau and Kerianne Bernard, and their adorable 16 month-old son. Immediately, we discovered there was another important person present, Kerianne’s mom – Tutu! (She stayed behind the scenes!) Did she live with them? No. Was she visiting from the mainland or another part of the island? No. Aha! The details behind their home purchase were coming to light! Location, familiarity, ohana…. a beautiful combination! Beau, a Sergeant in the Army Reserves, grew up in Hawaii Kai. 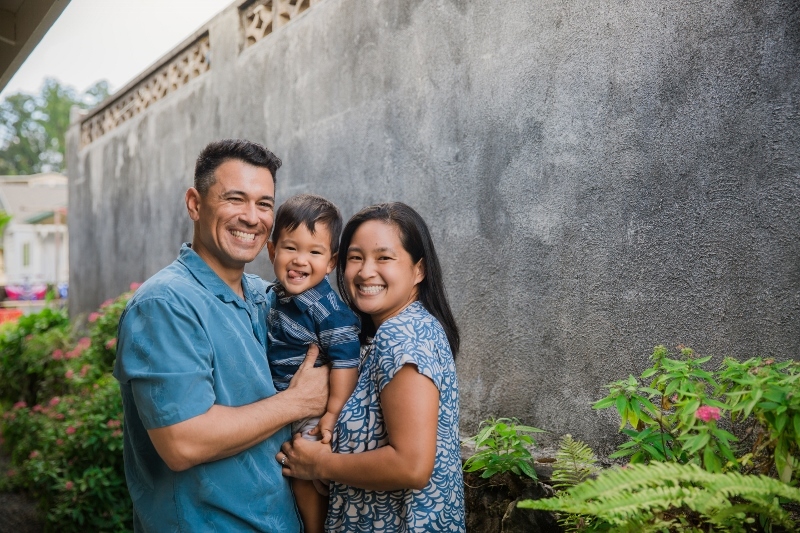 In addition to the neighborhood’s appeal, he chose to use his VA loan benefits to finance their home because it had everything they were looking for to start their family in: four bedrooms, two bathrooms, freshly painted, new flooring, and renovated bathrooms. Nice! In fact, as if having family up the road wasn’t awesome enough, the Bernard’s VA Loan Specialist, Brenda Carr, lives in the same neighborhood, too! We laughed at the wonderment of the convenience! Beau and Kerianne’s home literally sits between their own extended family and their VA Loan Specialist. 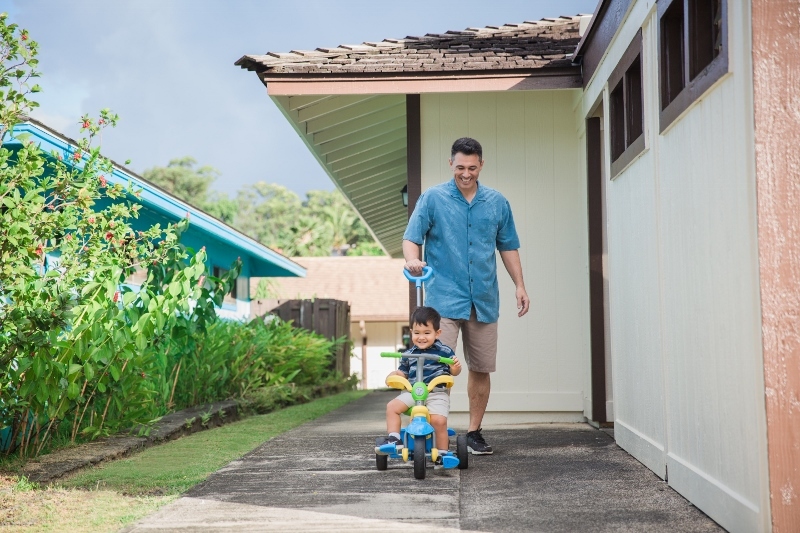 When we talk about one-on-one attention as a company, having an easy VA loan process, and the importance of choosing a local lender, this is the ultimate example of the Hawaii VA Loans mission coming to fruition! It’s evident in their sweet candor that Beau and Kerianne feel grateful for how their home purchase unfolded. 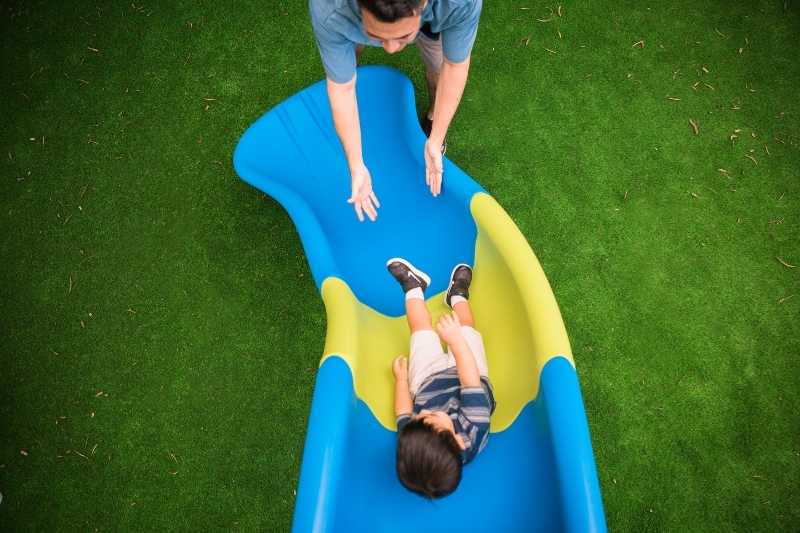 Their son doesn’t mind his parent’s home choice either – with a community park within walking distance…. 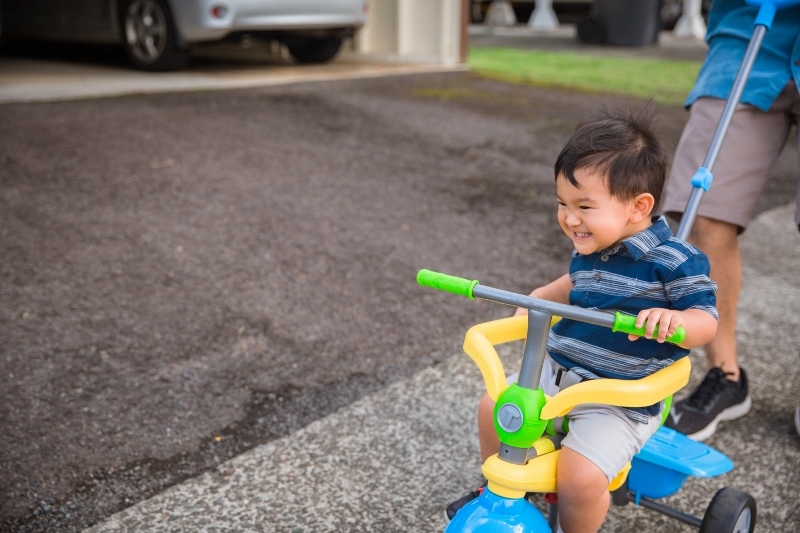 and a sidewalk to dominate, he’s a happy keiki! 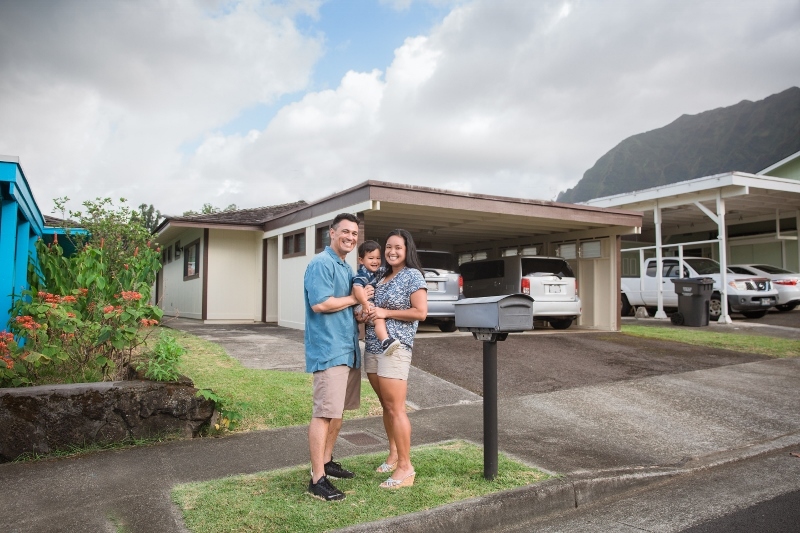 Mahalo nui loa to the Bernard ohana for welcoming us into their world and showing us the reasons they became Hawaii homeowners. 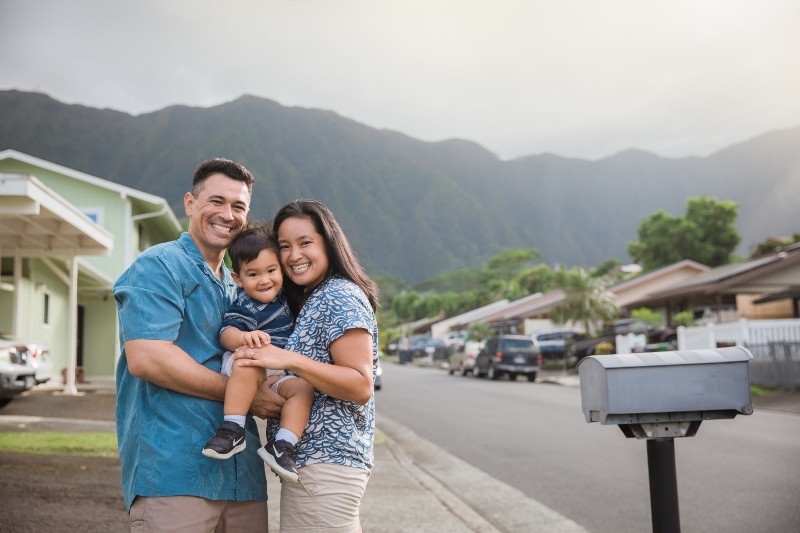 You make us proud to have been your choice for a VA loan lender in Hawaii!